This summer, as you visit various places, you’re likely to come across many little creatures – crabs, starfish, bugs and – turtles! Turtles are among the most adorable marine creatures, never mind how slow or fast they move! There’s something endearing about the peace-loving, own-business-minding, slow-moving turtle. Once you’re home, relive the excitement of spotting a turtle with these cute turtle crafts and activities for kids. 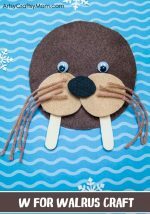 Your little ones will love making this fun summer pet. Check out the tutorial for the Paper Plate Turtle via Glued To My Crafts. 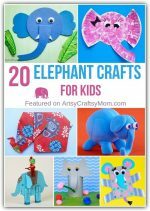 This kid craft is pulled together with simple supplies like a paper plate, glue and tons of tissue paper. Hand print and footprint salt dough ornaments make the perfect keepsake for those little hands and feet. Jackie from I heart arts n crafts shows you how to make a Ninja Turtle themed Salt dough Ornament. This simple craft – using the ends of soda bottles and other crafty items – puts a huge smile on our faces. Find the full tutorial here at krokotak. Have any old CDs or DVDs lying around that you can’t use anymore? Use them to make this cute craft – a recycled CD turtle! 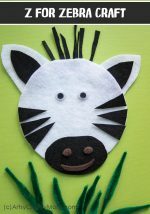 All you need are a few materials to make this cute guy from I heart arts n crafts. Turtle craft for kids using a Wine cork – easy peasy! 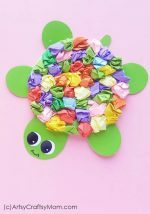 Michelle from Crafty Morning shows how kids can make this simple turtle craft! This little felt turtle from Wildflower Ramblings looks like he walked straight out of the woods into your home. 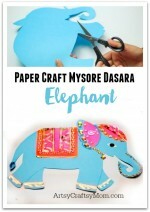 A simple craft and just too cute for words!! Make a stuffed fabric fluffy plush turtle toy to keep your little one company during his bedtime story session. Get all the instructions over at Make it Love it. This egg carton turtle from Emma Owl is both easy and fun to make – and seriously… an egg box does not get any cuter than this!! If your little one adores Teenage Mutant Ninja turtles, then this easy and convenient DIY turtle costume from Little Miss Kate is perfect for some great pretend play or for a costume party! If you need a unique pet rock why not give these rock turtles a try? Easy Peasy and Fun’s tutorial is simple yet fun to make! Children are fascinated by turtles and love to watch them swim and crawl around. Here are several interesting ideas for a turtle theme in your preschool class or at home. 11. Check out this adorable sea turtle for an indoor activity idea. Printable is from Learn Create Love. 16. Learn about sea turtles with a hands-on sea turtle sensory bin from Teaching Mama. Fun guaranteed! 17. Check out jdaniel4smom for Teenage Mutant Turtles-inspired colour sorting activity – great for young ones to practice their pincer grasp. Turtles are one of the oldest reptiles living on the planet. They live both on the land and in the sea. Turtles live everywhere on earth except Antarctica. Turtles inhabit all of the world’s oceans except the Arctic. Turtles live in the water and only venture onto dry land to lay eggs. When the eggs hatch the baby turtles head straight to the water. 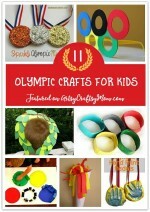 We’re sure your interest in turtles has been re-ignited by seeing all these activities, so start crafting! very good creative article on fun activities .